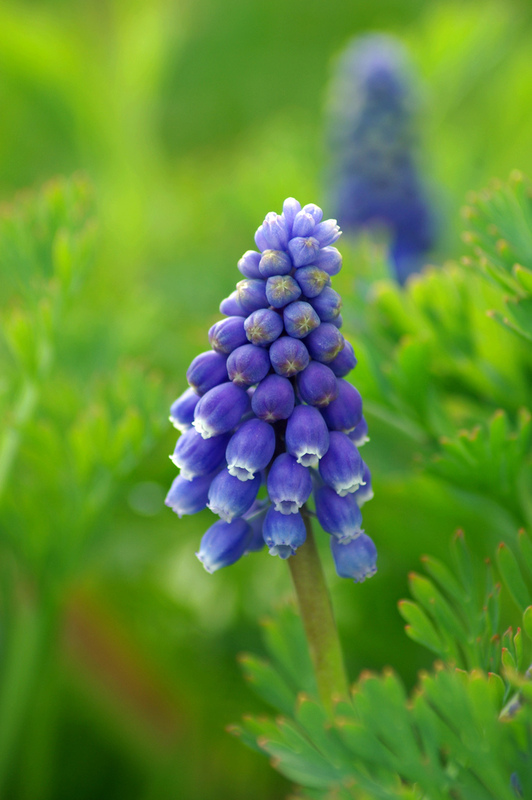 This month’s Garden Flowers post, which I write with Rona Wheeldon of Flowerona , features the popular spring bulb, the muscari. Its common name is grape hyacinth which refers to the plant’s clusters of small, bell-shaped flowers, which look like bunches of upside-down grapes. 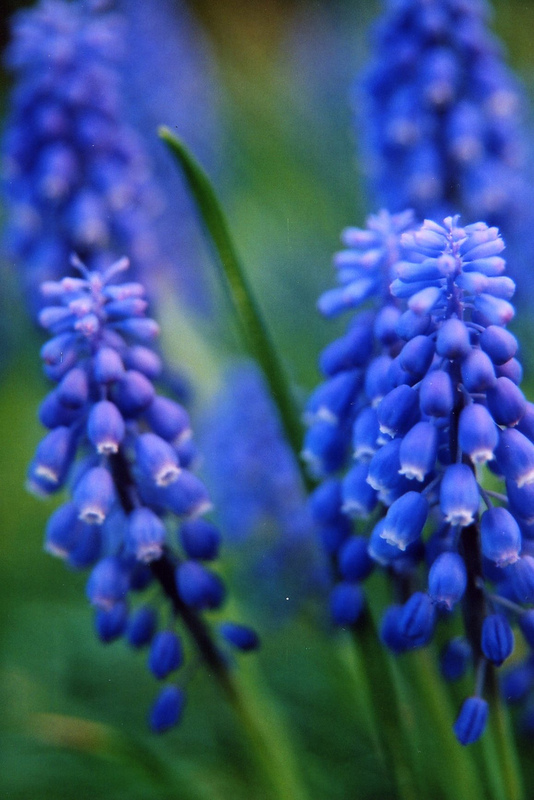 There are around thirty different species of muscari, although only four or five are widely available. The most common is ‘Muscari armeniacum’ which comes in various shades of blue and there is also a white variety called ‘Album’. 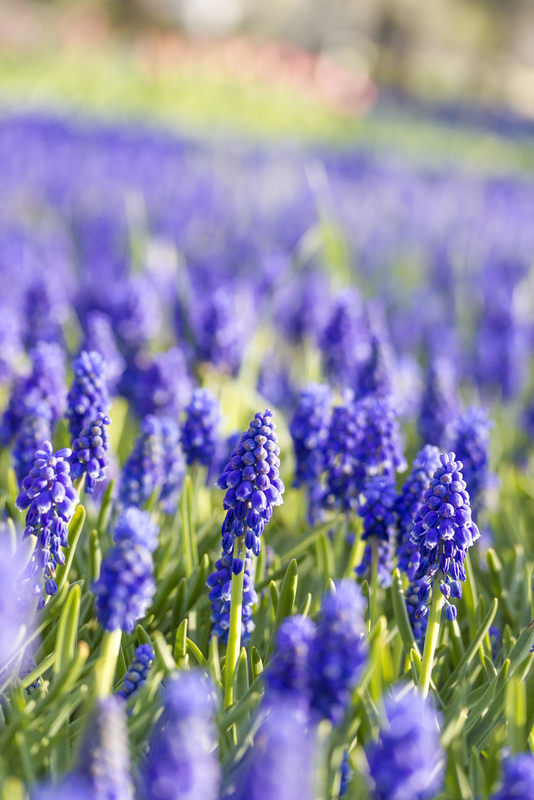 Muscari are perennial bulbs which will grow in any reasonably drained soil, as long as it’s not too shady. Best planted en masse with other bulbs such as dwarf narcissi, muscari have grass-like leaves which remain throughout the summer and may need cutting back in the autumn, as the leaves fade. 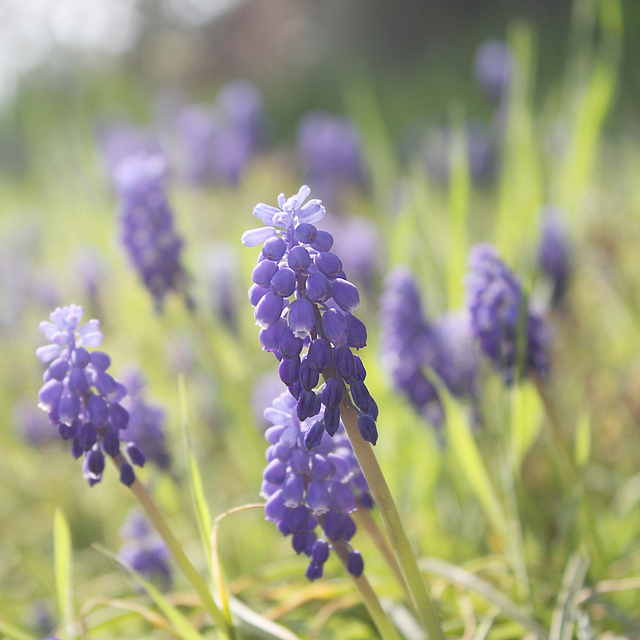 As well as brightening up your garden, muscari are also available as a cut flower at this time of year. They look great arranged in small vases and are also readily available planted up in pots, sometimes decorated with birch twigs. If you would like to grow muscari in your garden, you will need to wait until the autumn to plant the bulbs but if you make a trip to your local garden centre over the next week or so, you should be able to pick up some pot-grown plants in flower that you can transplant into your garden straightaway.